Feel the difference with InVite® Multivitamins, as many of our customers report having improved energy, stamina and concentration when switching to our brand. 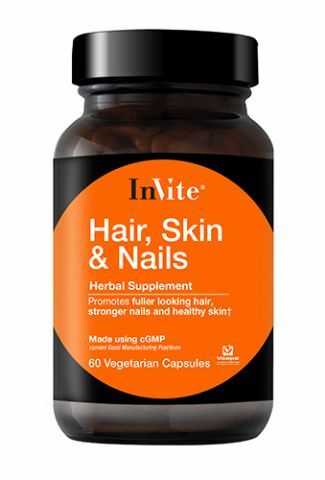 Why Take InVite®'s Women's Multivitamin? 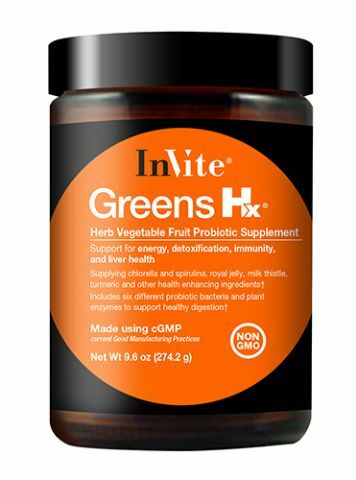 Made with Vcaps® and L-Vcaps® Plus technology (liquid-filled Vegetarian Capsules) employing advanced delivery methods for efficient absorption, which also shields these delicate ingredients from oxygen. Heat nor saturated fat are used in the encapsulation process. Two (2) tablets and one (1) L-Vcaps® Plus capsule and two (2) Vcaps® capsules (contents of 1 packet) per day, taken with a meal. Supplement facts for tablets are on opposite panel. Other Ingredients: Microcrystalline Cellulose, Vegetable Stearate, Stearic Acid, Hydroxypropyl Methylcellulose, Annato Powder. Biokey® is a licensed registered trademark material of Chelated Minerals International, LLC. Other Ingredients: Vegetable Capsule (Hypromellose), Rice Flour, Vegetable Stearate. Other Ingredients: Hypromellose (Vegetable Cellulose Capsule), Purified Water. If you have any illness, allergies, are pregnant, or are taking any medication, please consult your health care professional before using this product. For optimal storage conditions, store in a cool, dry place. 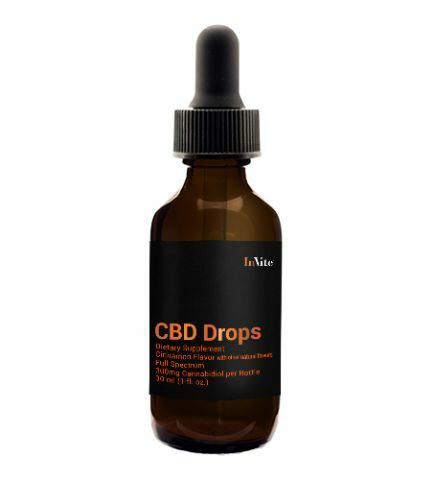 This product is manufactured under strict quality control to maintain purity and potency. 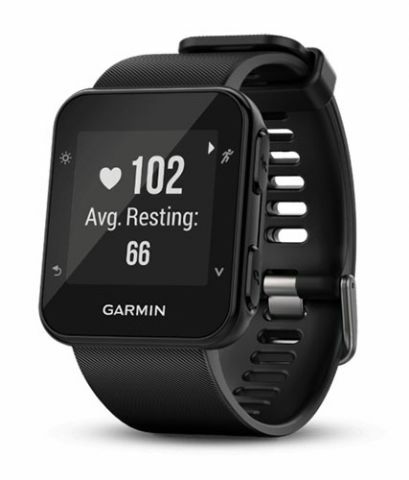 This assures you of optimal safety and reliability. 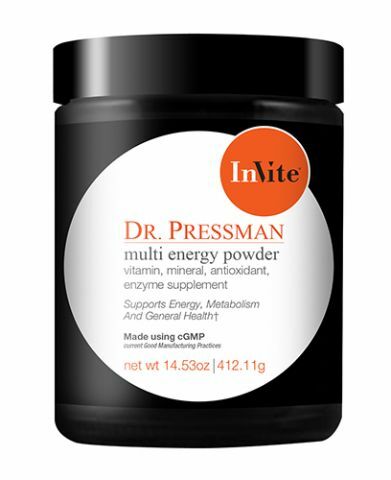 What is the InVite® Women's Multi Vitamin? 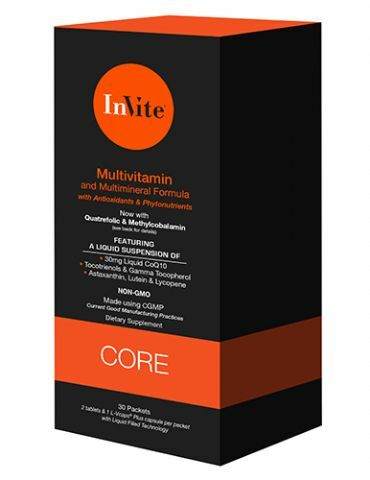 The InVite Core Multivitamin is one of our most popular products – it’s convenient, effective and safe for everyone, but our line of multivitamin formulas includes specialized vitamins that target health needs of men, women, children, and athletes. The InVite Women’s Multivitamin specifically addresses the most important health concerns of women while delivering the same broad spectrum of nutrients included in our core multivitamin at the same time. 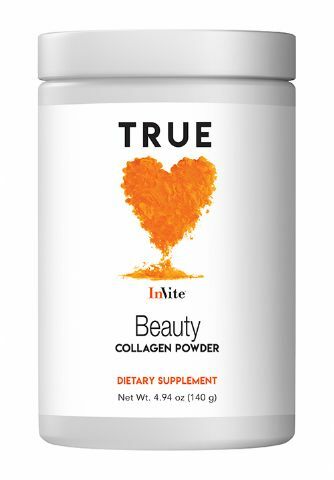 This product provides all the same benefits as our core multi, but it has additional components that target common women’s health issues. These valuable extra ingredients for women include Purple Andrean Corn (250mg), DMI (25mg), Type II (250mg), and Iron as Iron Bisglycinate*, a gentle form of iron (8mg, 44% DV), all of which offer a vast amount of health benefits for women.